MONTREAL, QUEBEC--(Marketwire - March 1, 2011) - Editors Note: Photos for this release will be available on the CP picture wire via Marketwire and EPA archive. 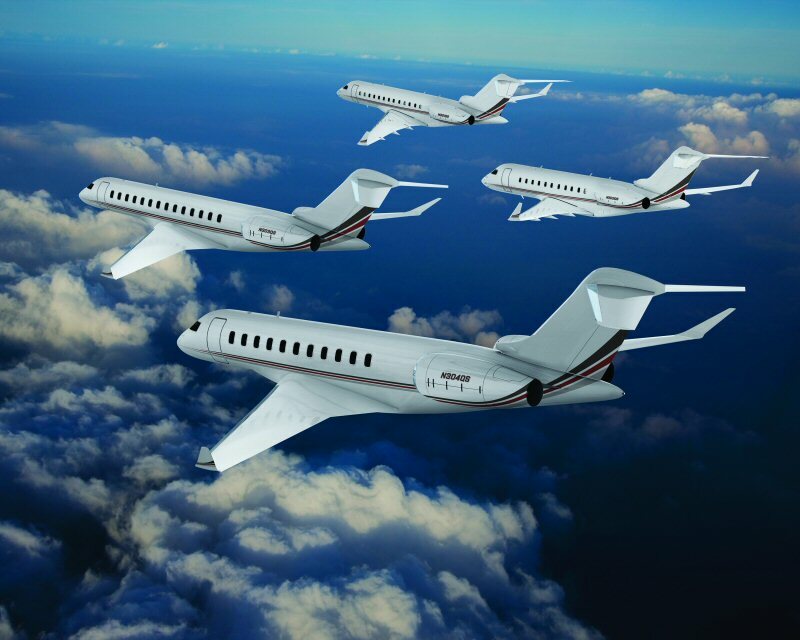 Bombardier Aerospace today announced the largest business aircraft sale in the company's history with a firm order from NetJets Inc. for 50 Global business jets with options for an additional 70 Global aircraft. The transaction for the firm order is valued at approximately $2.8 billion US based on list prices. If all the options are exercised, the total value of the order will surpass $6.7 billion US, also based on list prices. 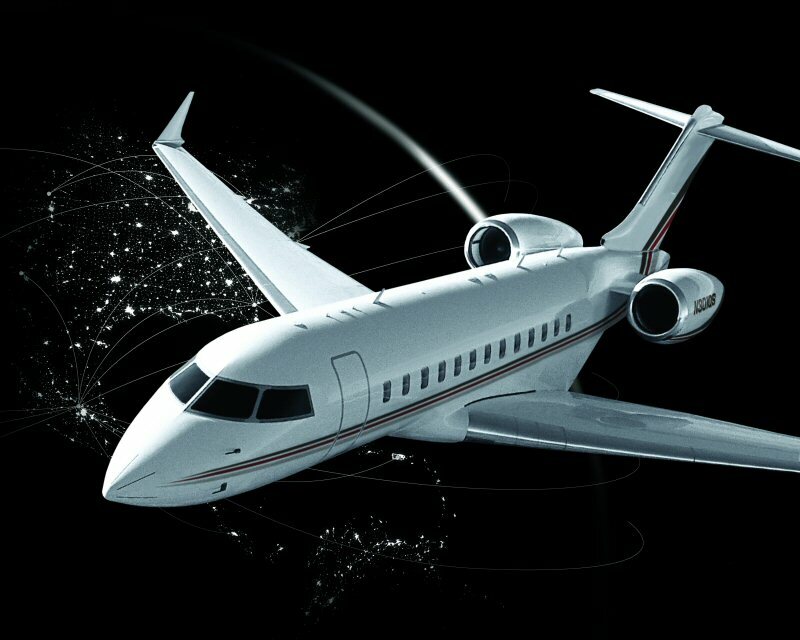 The firm order comprises 30 Global 5000 Vision and Global Express XRS Vision aircraft, with deliveries scheduled to begin in the fourth quarter of 2012. The sale also includes 20 firm orders for Bombardier's newly launched Global 7000 and Global 8000 jets. Deliveries of these aircraft will begin in 2017. "We are very proud to have NetJets, the worldwide leader in private aviation, select the Bombardier Global aircraft family," said Steve Ridolfi, President, Bombardier Business Aircraft. "The Global aircraft family offers the ultimate in performance, cabin comfort and technology. We are especially happy that NetJets shares our excitement in the Global aircraft family strategy, including our recently launched Global 7000 and Global 8000 jets." NetJets is the world's largest business aircraft operator, with a fleet of over 800 aircraft worldwide. The company's new large aircraft program is centered on providing NetJets Owners with non-stop capabilities around the globe. "We are very impressed with Bombardier's product strategy and vision for the future," said Jordan Hansell, President, NetJets Inc. "The Global aircraft family is ideally suited to our Owners' needs for range, reliability, interior comfort and operating efficiency," Hansell said. "These aircraft will be an excellent complement to our existing large cabin capabilities and overall fleet that is unmatched in private aviation." Bombardier's Global 5000, Global Express XRS, Global 7000 and Global 8000 jets are designed to feature superior speed, cabin volume, range and technology to offer passengers the ultimate business jet experience. The only business jet portfolio to span the 5,200 (9,630) to 7,900 nm (14,631 km) range*, it addresses the increasing needs of business jet travelers and operators to rapidly link key international city pairs non-stop. NetJets® Inc., a Berkshire Hathaway company, is the worldwide leader in private aviation and provides the safest and most secure private aviation solutions. NetJets fractional aircraft ownership allows individuals and companies to buy a share of a private business jet at a fraction of the cost of whole aircraft ownership, and guarantees availability 365 days a year with just a few hours' notice. The NetJets programs worldwide offer the largest and most diversified fleet in private aviation, which includes 13 of the most popular business jet types in the world. The Marquis Jet Card® provides access to the NetJets program through a 25-hour jet card. NetJets Inc. also offers aircraft management, charter management, and on-demand charter services through its subsidiary, Executive Jet® Management. More information on NetJets, the Marquis Jet Card, and Executive Jet Management is available at www.netjets.com. A world-leading manufacturer of innovative transportation solutions, from commercial aircraft and business jets to rail transportation equipment, systems and services, Bombardier Inc. is a global corporation headquartered in Canada. Its revenues for the fiscal year ended Jan. 31, 2010, were $19.4 billion, and its shares are traded on the Toronto Stock Exchange (BBD). Bombardier is listed as an index component to the Dow Jones Sustainability World and North America indexes. News and information are available at www.bombardier.com. Bombardier, Global, Global 5000, Global 7000, Global 8000, Global Express, Global Vision and XRS are either registered or unregistered trademarks of Bombardier Inc. or its subsidiaries. Bombardier Global Express XRS business aircraft with NetJets livery. Bombardier Global family of business aircraft with NetJets livery.